Description: Players split into four equal groups each in a square. 1 ball per square, players are passing and moving into space after. On the coaches call of “Switch” players move clockwise to the new square, leaving their ball in the previous square. Players can also perform dynamic stretches while moving. 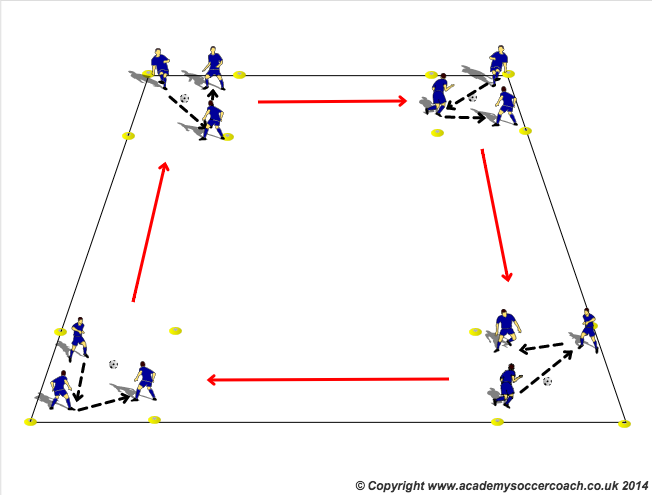 Large Rondo in the middle, 2 defenders and 2 touch max. Description: Players split up into two teams, each team has 1-2 players (depending on numbers) in each of the corner boxes. Red team begins passing clockwise while the blue team pass anti-clockwise from box to box. Players will always follow their pass to the next box. 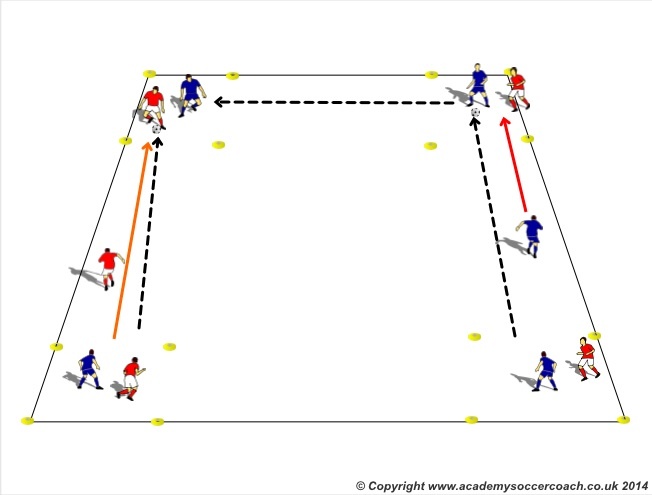 Description: One player from each team is positioned in opposite corner boxes. 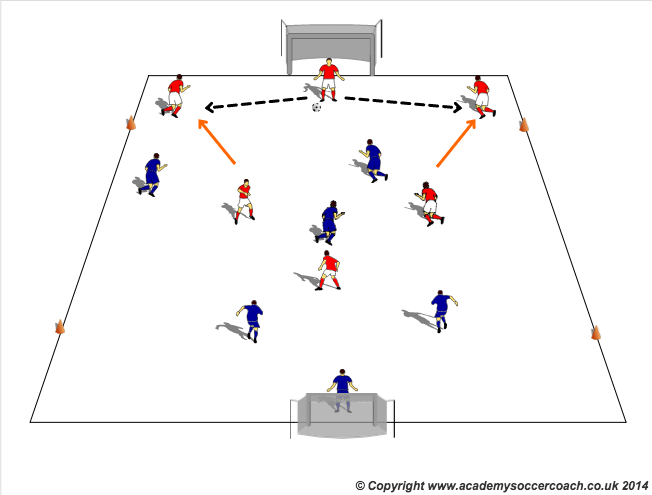 Coach starts play by passing to one team who must make at least 1 pass before finding a target player. Teams must then find the opposite target player to score again, they can use the same target player to maintain possession but will not get a point. Rotate target players every 2-3 minutes. Description: Free play 6v6 with MUYL roll out rule in effect. Encourage players to support from kick outs and encourage smart movement to provide opportunities to support.